Statistician general Risenga Maluleke released the figures at a media briefing in Pretoria. "The 2.2% fall is the largest quarter-on-quarter decline since the first quarter of 2009," said Stats SA. Before the announcement was made, analysts predicted that the GDP growth rate would decrease, given the relatively high growth rate of 3.1% achieved in the fourth quarter of 2017. GDP did, however, grow by 0.8% year-on-year. The rand reacted negatively to the news, losing 10c to the dollar to trade at R12.66/$ at 11:55 after the announcement was made. Before the figures were made public, the local currency had been fairly even on the day, changing hands at R12.55/$. This followed a quarter-on-quarter increase of 3.1% in the fourth quarter of 2017, with overall growth for 2018 at 1.7%. 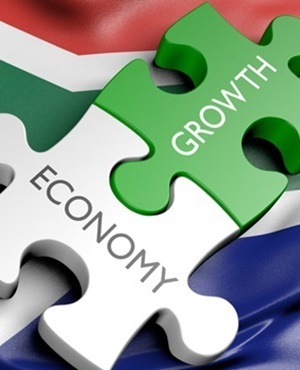 The largest negative contributors to GDP growth in the first quarter were the agriculture, mining and manufacturing industries, Stats SA said. The agriculture, forestry and fishing industry decreased by 24.2% and contributed -0.7 of a percentage point to GDP growth. This was attributed to a drop in the production of field crops and horticultural products. Mining and quarrying, meanwhile, decreased by 9.9% and contributed -0.8 of a percentage point. This was in part due to decreased production of gold and other metal ores, including the platinum group metals and iron ore.
Manufacturing decreased by 6.4% and contributed -0.8% of a percentage point, with six of ten manufacturing divisions reporting negative growth rates in the first quarter. Basic iron and steel, petroleum, chemical products, rubber and plastic products all took a knock. Imports and exports also suffered, with exports of goods and services falling by 16.5% and imports of goods and services falling by 6.5%. On the positive side, finance, government, business services and real estate all made positive contributions. General government grew by 1.8% and contributed 0.3 of a percentage point to GDP growth, while finance, real estate and business services grew by 1.1%, contributing 0.2 of a percentage point to GDP growth.